Please note that the content of this book primarily consists of articles available from Wikipedia or other free sources online. The A237 is an A road in South London. It runs from the west side of Mitcham Common to Coulsdon. It crosses through 2 London Boroughs which includes the start inside the London Borough of Merton and the ending of the road inside the London Borough of Croydon. The road ends at a busy junction with the A23 which soon carries on to the M23. 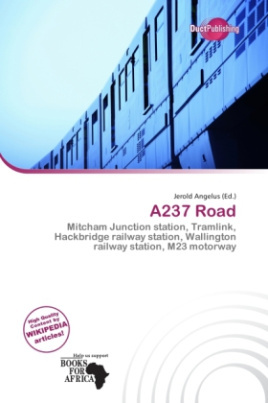 The road passes 3 mainline train stations, Mitcham Junction station, Hackbridge railway station and Wallington railway station.